You are going to buy an electric car. You've even tried several models and you love the immediate response when you step on the accelerator and the way that that little spaceship sound. Good bye gas stations, drive around the city centre, park for free and pollute much less. You want an electric car and that is it. Obviously, according to your economic possibilities, you can choose between electric cars with more autonomy, among the fastest electric cars, or among the cheapest electric cars. Perfect, but before that, do not forget that you may need to install a charging point for your new car. 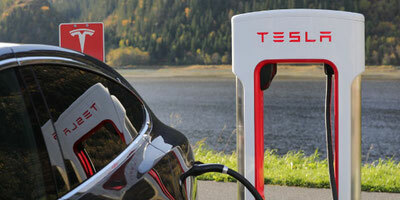 Where can you recharge an electric car? The owners of a Tesla electric car enjoy something that for now others cannot have: a super-fast charging network of its own at 120 kW of power (and up to 145 kW). 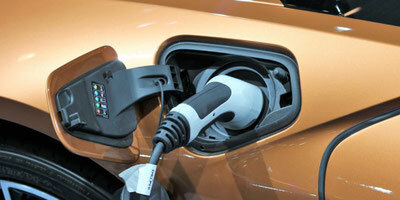 Right now there is a great disparity between the autonomy of some electric cars and others. The oldest, and generally cheaper, tend to have less autonomy, and conversely: the more modern tend to be more expensive (but not always) and have more autonomy. Depending on the autonomy of the car, and your way of using the car, you could consider one way or another of recharging. In an electric car with very little autonomy you will have to reload the battery every day. On the other hand, with a great autonomy, you could consider reloading every several days, and even not doing it at home. The choice is yours. Speaking of figures of average autonomy, and according to the new cycle of harmonized homologation WLTP, something more realistic than the obsolete cycle of homologation European NEDC, we travel approximately between 100 km and more than 500 km, depending on the car (in the first case by example a Peugeot iOn, in the second case for example a Tesla Model S). In Spain there are not as many public recharging points as some say: so think about having your own recharging point, it may be very useful if you don’t want to be stranded more often than you had anticipated. The most recommended and comfortable one: you get home, you park the car, you plug it in and while you do not use it, normally at night, when there is less electricity demand in the electrical system, it is recharged quietly at low power, taking care of the battery. It is also the cheapest if you use the night tariff. Of course for this you need to have a parking space (and certainly not everyone today has one). Recharge at a "borrowed" recharging point: Some people are lucky enough to be able to use a normal speed charging point in the parking lot of their workplace, and almost always it is also free. In general, 8 hours of the working day are enough to recharge the battery. In shopping malls, we can also find "borrowed" charging points, but you may not have enough time to fully recharge the battery if the recharge power is low (and is usually the most common). Recharge at public charging stations: There are recharging stations of normal speed (ie slow), and others of semi-fast speed (about 20-22 kW of power), fast (about 50 kW) and even super-fast (about 120 kW). Speaking of fast recharge, in general in about half an hour or an hour you could have recharged the battery almost completely. However, except with a Tesla and its network of superchargers, recharging at these stations is much more expensive than recharging at home. It is also not advisable to abuse fast recharges, since the high power system subjects the cells to a higher temperature, and this accelerates the degradation and premature loss of load capacity. Are there any aids to install an electric vehicle charging point? Yes, there are, but from time to time, and they are also conditioned. The latest aid plans for the purchase of electric vehicles from the central State (MOVEA Plan and MOVALT Plan), forced the point of sale adhering to the plan to pay up to 1,210 euros (1,000 euros + VAT) from a recharging point, to the buyer of an electric vehicle that would have accepted the aid. The problem is that the funds for these grants are used up very quickly the last two years. In 2018 there will be a new aid plan, but almost certainly it will exhaust again very quickly (and when we say very fast, we say fast, in just 24 hours, so be careful). The car dealer adhered to the state aid plan will pay you up to 1,210 euros from the recharging point for the electric car that you buy. In some Autonomous Communities there are other own aid plans to install recharging points. They can be direct as in Catalonia, or they can be via deductions in the annual IRPF declaration as in Navarre. Beware, because the central government's aid is not always compatible with other regional or local aid, inform yourself well. In spite of all this, keep in mind that it is not strange that the different car manufacturers, as a promotional strategy, usually "give away" the charging point for the car, or make an equivalent discount (look carefully at the fine print of the advertisements).